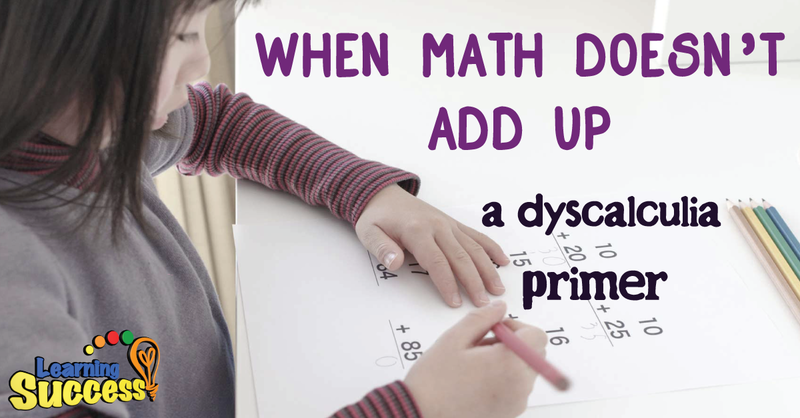 In the 1970s, a term was created for the innate learning disability that affects a person’s ability to learn and process the simplest math problem: dyscalculia. It is similar to dyslexia but it includes having a hard time understanding numbers, math facts, and how to manipulate numbers in math problems. What’s interesting about dyscalculia is that it can be found in children with normal to high-intelligence levels on the IQ scale. It affects up to 6% of Americans. The first symptom is an inadequate ability to see something and know how many objects are in a small group. This is an innate ability that human infants know at birth in which they can typically view and know up to three objects. The numbers increase with maturity, eventually allowing adults to estimate five or more objects with a glance. Children with dyscalculia however view and estimate fewer objects than kids their own age, even when corrected, can also take longer to identify the number in the group. Other symptoms include low scores in math as well as trouble with counting and adding. 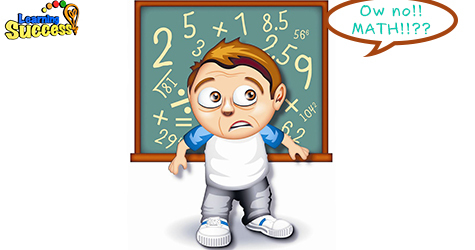 Dyscalculia can also appear with other learning disorders such as a reading disorder like dyslexia, as well as a mixed receptive-expressive language disorder. Without early intervention, complications such as low self-esteem and behavioral problems as well as anxiety and fear when given math problems can make the whole situation for them worse. And this is a real problem. Many teachers are also not equipped to handle children with dyscalculia, often mistaking their disability for laziness. This has to stop. So, when you see kid struggling with math, get him or her tested. Proper treatment at an early stage in life will not only help them cope with dyscalculia, but also look at the world in a more positive light. After all, the key to success is building up the fundamental learning skills. That’s about it. If you suspect your child may be suffering from dyscalculia use our free online dyscalculia screener. Get results emailed in minutes.